UCCMM is proud to announce that it has been granted leave to intervene in the Reference re: Greenhouse Gas Pollution Pricing Act at the Ontario Court for Appeal. UCCMM’s intervention will ensure that the Court understands that climate change is not an abstract issue but one that has already begun disproportionately affecting our inherent rights and jurisdiction over our lands and waters. As stewards of the largest freshwater island in the world, we are ensuring that the courts take into account the Anishinabek perspective when determining if climate change is a matter of national interest. Click here to read the full press release. M’CHIGEENG, October 15th, 2018 – Following the Supreme Court of Canada’s reasons on October 11 in the case Mikisew Cree First Nation v. Canada, the United Chiefs and Councils of Mnidoo Mnising (UCCMM) are disappointed that the Supreme Court of Canada has determined that the fact scenario and the judicial review in the Mikisew Cree case was not a basis to impose a legal duty to consult on the legislative process. Click here to read full press release. 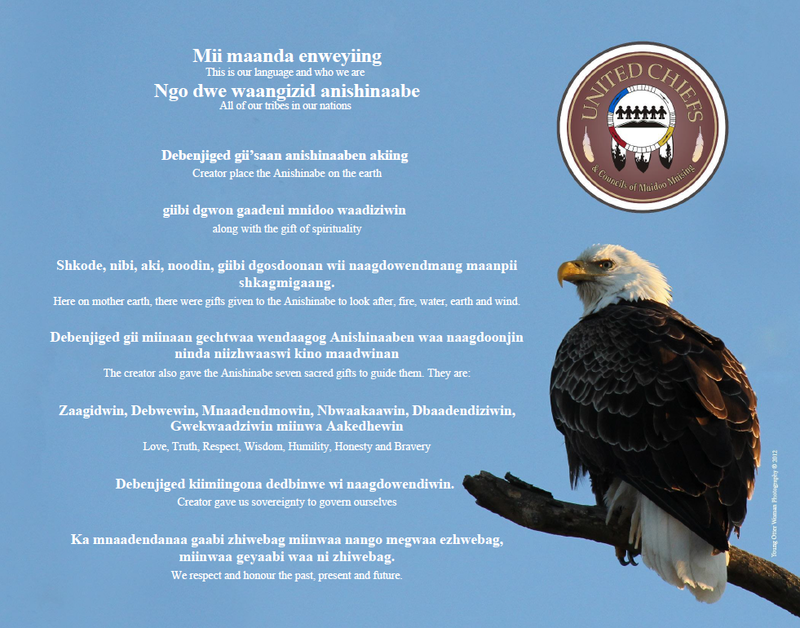 The 3rd Biennial Symposium on Gdo Akiiminaan Ganawendandaan (Taking Care of Our Land) Symposium May 6-9, 2019 in Sault Ste. Marie, Ontario. The theme will be: “Climate Change”. Click here to register for the Symposium. ​The United Chiefs and Councils of Mnidoo Mnising Justice Program is seeking a Gladue Aftercare Worker. Posting closes April 18, 2019 at 12 noon. For the complete posting click here. The United Chiefs and Councils of Mnidoo Mnising Justice Program is seeking an Indigenous Youth Prevention and Intervention Program Worker. Posting closes April 18, 2019 at 12 noon. For the complete posting click here. Manitoulin Family Resources is seeking a Woman Abuse Outreach Counsellor to support women and children in our Violence Against Women Prevention Program. Posting closes April 18, 2019 at 12 noon. For the complete posting click here.